How to catch Trigger Fish My best weeks fishing so far this year. It would seem that the top baits for Cod at the moment are the usual Lugworm and Hermit Crab, and of course my favourite, Peeler Crab. It is not just Cod that are being caught. Fishing in general is at its peak. Part of the reason that I have not put a new post up for over a week, is that I have been fishing for up to 20 hours a day over the past 10 days, and the fishing have been fantastic. I have been guiding all this week and I have managed to help all my clients get into some nice fish including Bream, Gurnard, Bass, Mackerel, Pollock and Garfish to name a few. Chesil Beach: Flat calm and clear. Weymouth Bay: 1m surf running for 70m, the water is coloured. 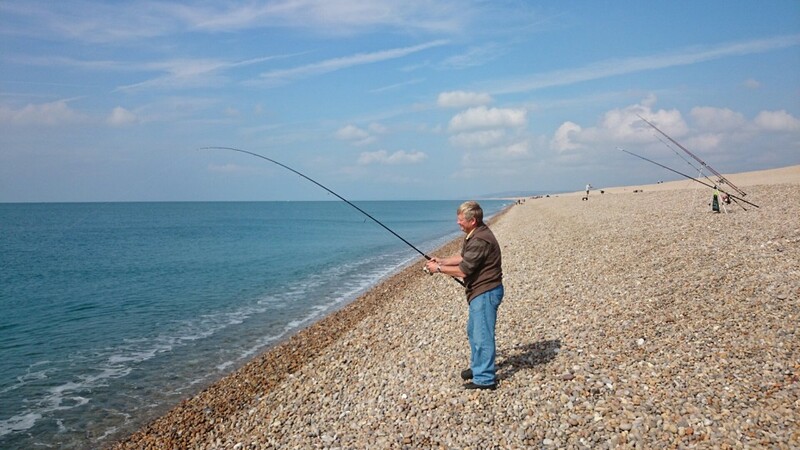 Chesil Beach forecast: With an easterly wind on your back, Chesil remains flat calm. The wind also helps with casting, not that the fish are out far. Most of the fish I have had recently have come between 40 and 70yds. 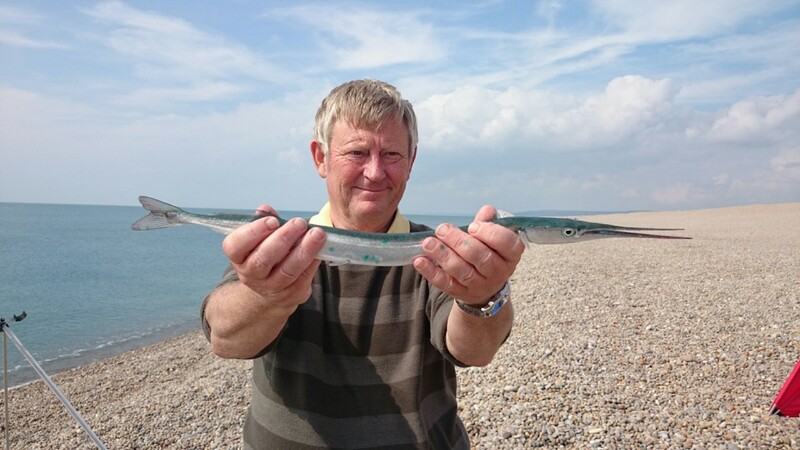 Garfish are around in large numbers and can be caught easily with a sliver of mackerel fished on a float or on a flyer. There have not been so many Mackerel, but the Bream and Gurnard are making up for that. 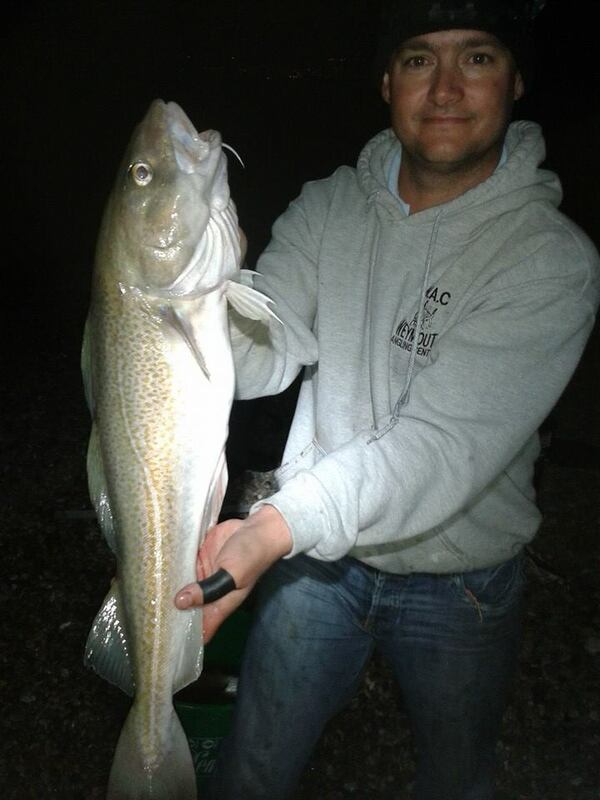 Codling have been coming just before dark and into darkness. I have heard reports of some early Whiting down at Abbotsbury. 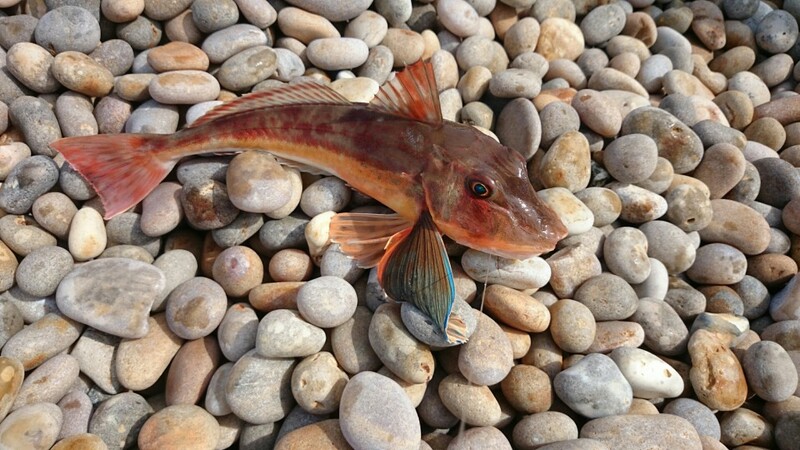 Portland: Portland is fishing well for Wrasse and a few Pollock. Church Ope Cove may well start to produce Sole. Portland Harbour: With the tides increasing in size the harbour should see an increase in the number of Bass around Ferrybridge and the reefs along from Sandsfoot Castle. Lures will always out fish bait for Bass on those marks. There are plenty of Garfish and Mullet around, as well as Scad after dark. 2 Responses to "Early season Cod"
Once again i have to say how much i enjoy reading your blog. I hate fishing forums normally, dull uninteresting places. This is informative, interesting and great photos. I shall be down on Monday for the day once again to take advantage of the many bream gurnard and mullet i have already had this year. I shall be targetting the triggers of course as a lot of fun. Where is the best place to buy hermits on a monday? There is a boat the moors up opposite the fish shop in Weymouth that sells Hermit Crab, though you usually have to be there first thing in the morning or when they come back in the afternoon.